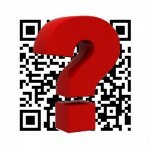 QR Reader Codes – Websites in a Box? Thumbing through one of my favorite magazines (aka Woman’s Day) I noticed several advertisements with funny looking boxes strategically placed in them. Research has revealed these boxes are called QR Codes or Quick Response Codes. The clever looking dots and dashes in them are a variety of data elements which include URL (websites) or contact information. The neat thing is these codes can be read with your smart phone using a QR Code Scanner. After downloading one of the free apps on a friend’s iPhone (I don’t have one yet) we scanned several codes to experience the whole scanning thing. Many businesses are including these codes in advertisements, postcards, websites and more. 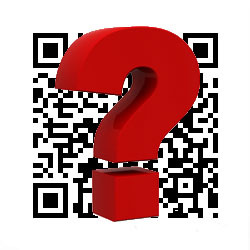 If you are looking for reasons to create a QR code for your business here are a couple of sites that can help www.socialqrcode.com and http://www.socialmediaexaminer.com/how-qr-codes-can-grow-your-business/ (Social Media Examiner). Sites that will allow you to type in your business URL and create your own code are: http://qrcode.kaywa.com/and http://createqrcode.appspot.com/. 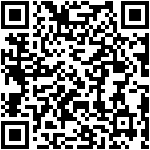 So the next time you see a QR Code, scan it with your smart phone. You never know it could lead you to a sale, contest or coupon. Some will even send you to a short history lesson or a blog site. To learn more about the Brazos Companies visit our website at www.brazosnet.com or call our business office at 940.564.5659 today.